Some carpet stains are a nightmare – take it from us, we understand you when you want to avoid getting anything splashed on your clean, pristine carpeting, no matter where in the house it may be! Therefore, it is always worth bearing in mind which stains should be avoided at all costs – and how you should consider tackling them. Don’t forget, however, that if you ever need helping removing even the toughest of carpet stains – Sam’s Cleaning and Ironing Services can help you find an ideal match in a reliable and hard-working cleaning professional to do the dirty work for you. Here are five big stains you’ll want to see the back of right away. 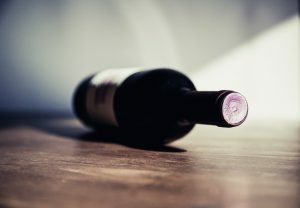 Carpet stains, meet your queen – wine is an absolute pain in the neck to remove if left for too long as they can quickly seep through into carpets of multiple types and piles. You’re going to need to handle this one very quickly indeed – but even long-standing wine stains can be attended to with a bit of elbow grease. Our cleaning professionals have the know-how as well as the tools to show you how! We hate to say it, but you may sometimes have to deal with this type of stain, particularly if you have young children or pets who are in need of house training. Baking soda is your friend here, as it will not only aid you in stain removal, but it will also do a great deal to help cover up any lingering smells. However, a deep clean is definitely recommended – and this is where our professionals can help – with shampoo and other professional cleaning tools provided as standard. As nasty as it sounds – blood can stain – and while it is recommended that you handle whatever emergency is occurring at the time, it is also important to try and handle any potential staining as quickly as you can. Blood can dry very quickly indeed and as it leaves a particularly dark mark behind, you will need to try and make sure that you attend to the stain as quickly as you can – but do make sure that anyone injured is taken care of first and foremost! Coffee commonly stains our lounge and bedroom carpets, and if left for too long, it can really make a deep, dirty mess. 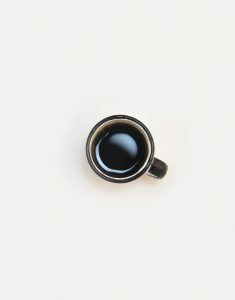 You can easily minimise any damage and the unsightly appearance of coffee staining by attending to it with vinegar – which is often a catch-all cure for many cleaning woes – but again, do make sure you attend to the stain quickly if you can. 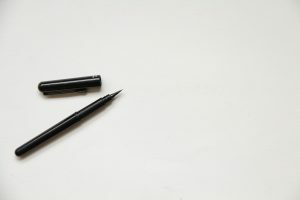 This one may not be as common as you think, but anyone who has had a fountain pen or two in their time will already be well-acquainted with the perils of ink staining. Ink stains should be conditioned ahead of time and steadily removed, particularly as they can provide particularly grievous long-term damaged if not handled in a timely manner. You’ll need to give these stains everything you’ve got! If you’re in need of help and assistance when it comes to cleaning up some of the toughest stains on your home’s many carpets, why not get in touch with one of our cleaning superstars to lend a hand? Call Sam’s Cleaning and Ironing Services on 07712 227517 or email us for more information at your convenience.